Adorable, fashionable and comfortable belt for plus size ladies. 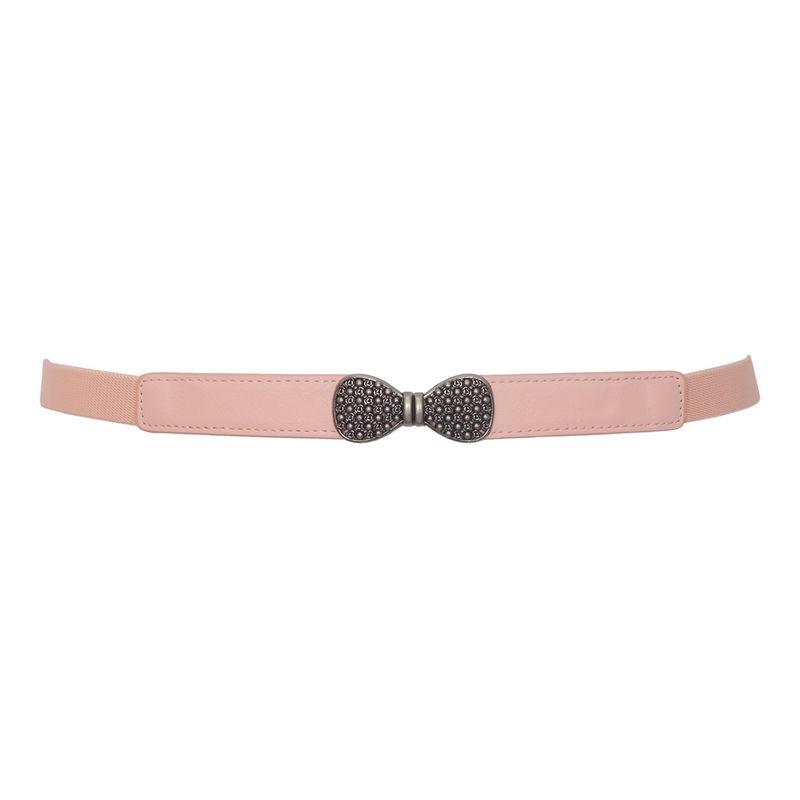 Plus size belt features bow buckle detail on faux leather with elastic backside. Can be used for both dressy or casual outfits. Great way to add a waistline and visual interest to a plain outfit. Measures 3/4 inches in width. This stretchy elastic belt measures 34 inches and will stretch to about 44 inches.